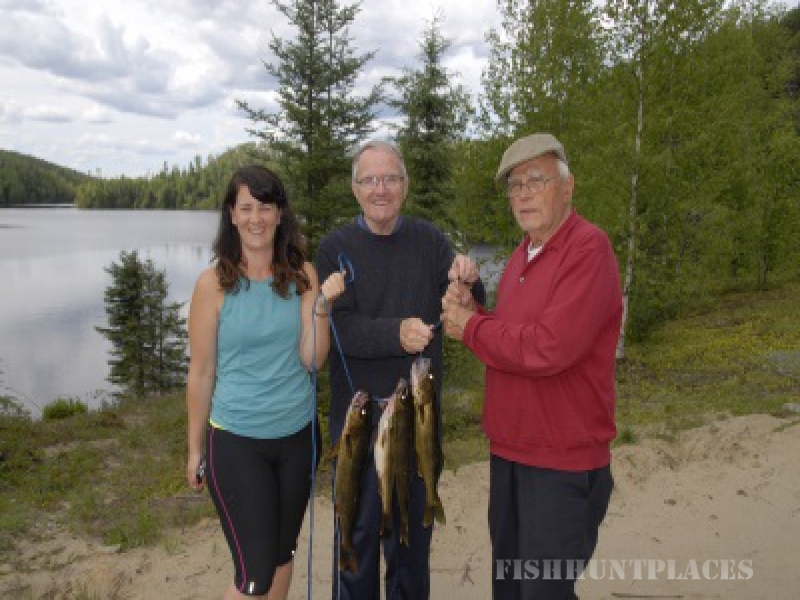 Bear Paw Lodge is now a fully accessible fishing destination opening up the fantastic walleye fishing on Caribou Lake in Armstrong, Ontario, to those who have mobility issues. Our latest addition is the Caribou Cabin located right on the water with an elevator to assist in moving guests directly to dock level. We're located approximately 140 miles North of Thunder Bay, Ontario, near Wabakimi Provincial Park, the Albany River, and Ogoki Resevoir Areas. 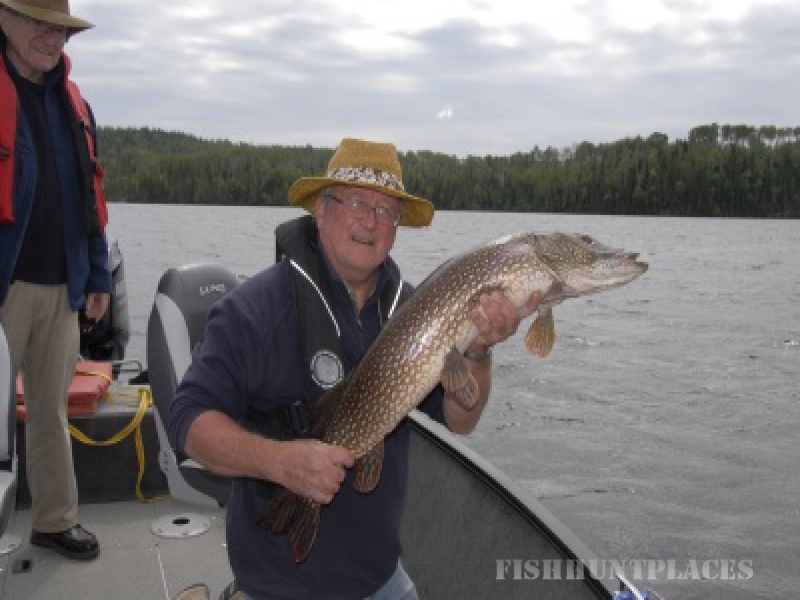 With over 40 thousand acres of water and 2,800 miles of shoreline, Caribou Lake can give even the novice fisherman the thrill of a life time. Once you're sitting on a honey hole, it's nothing to bring in 50 or 60 walleye in a couple of hours. 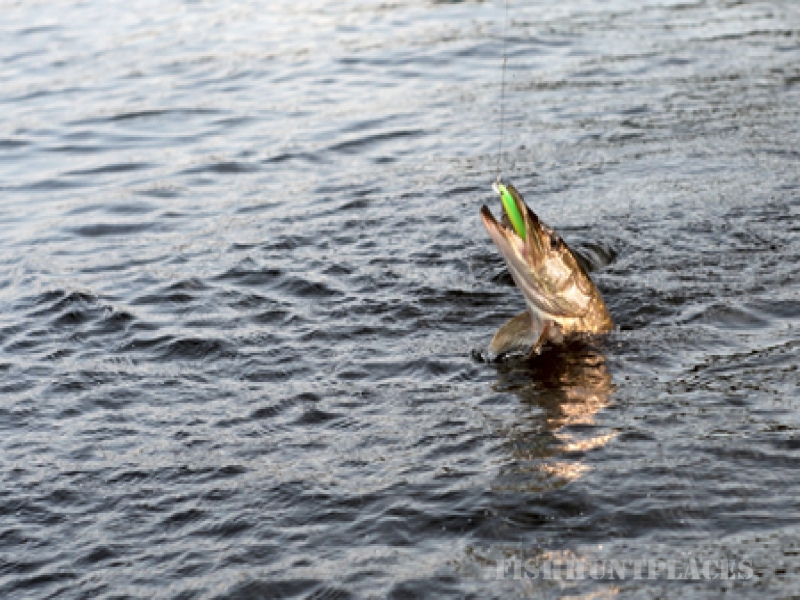 In late May, most people head to the river mouths to hunt walleye and northern pike as they feed on the bait fish going after their eggs. 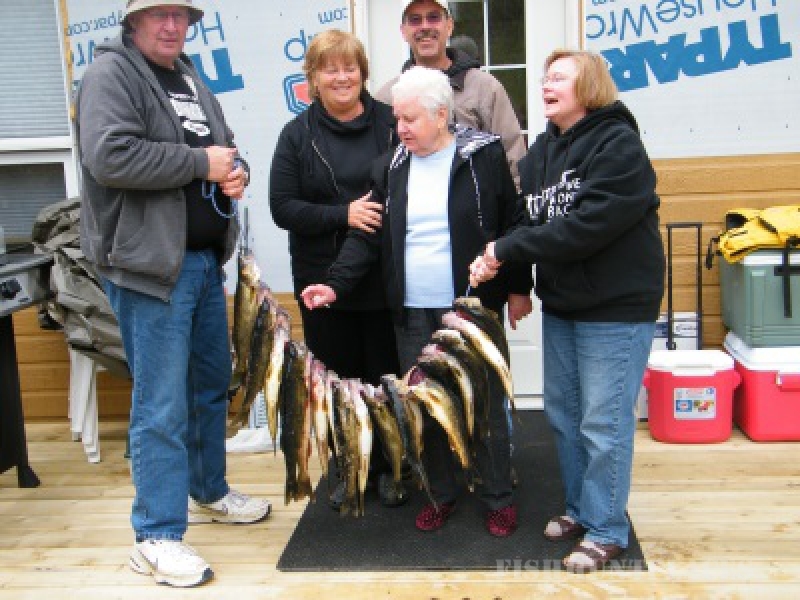 Throughout June and into July, many like to troll the narrows and catch their fill of the walleye feeding on whitefish, perch, and other tasty baitfish. In Late July and August, the walleye tend to go into the deeper holes and hide around the structure, and when you come across a hole, the fishing can be incredible. In fall, we suggest fishing off islands in about 20 to 40 feet of water, or just drifting around until you find them. 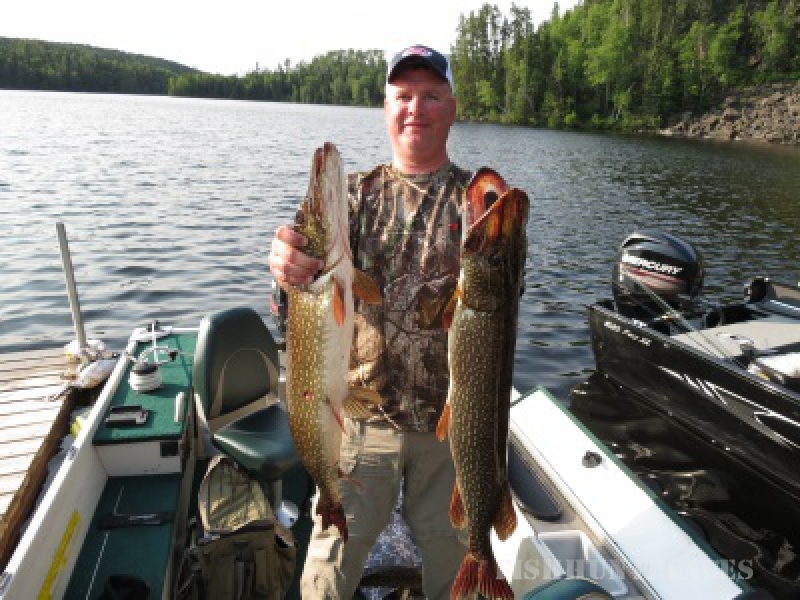 Caribou Lake is very deep in spots, with some areas reaching 250 feet in depth. 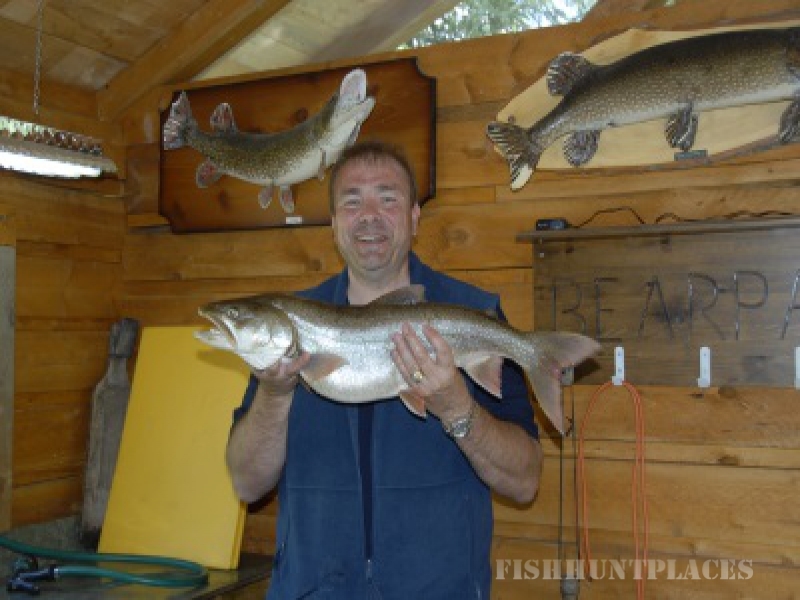 In these areas, countless lake trout can be found suspended at the 80 foot mark in mid-summer. 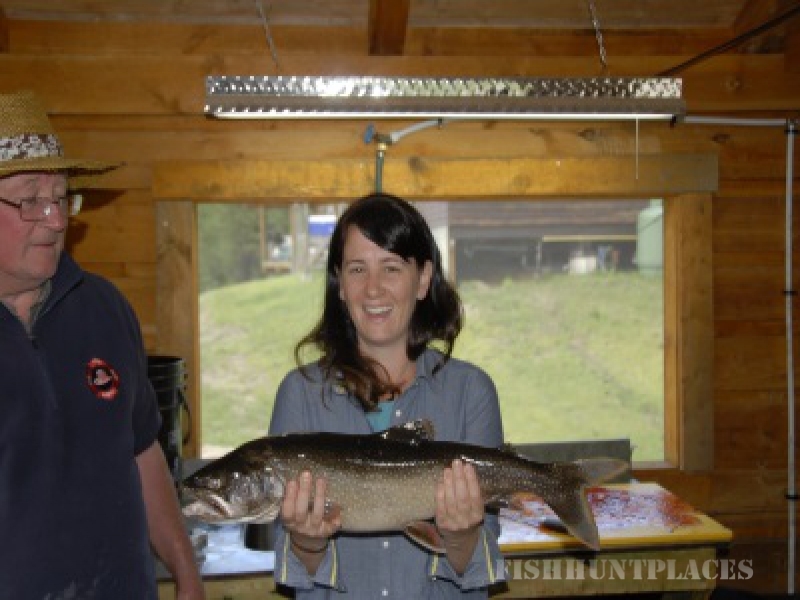 Bear Paw Lodge also offers use of our recently updated fish cleaning shack. With plenty of room to fillet and pack your fish for the trip home, our new shack also protects you from mosquitos & other pests. For more information about Caribou Lake, fish species, fishing tips, and more, please use the links listed below. 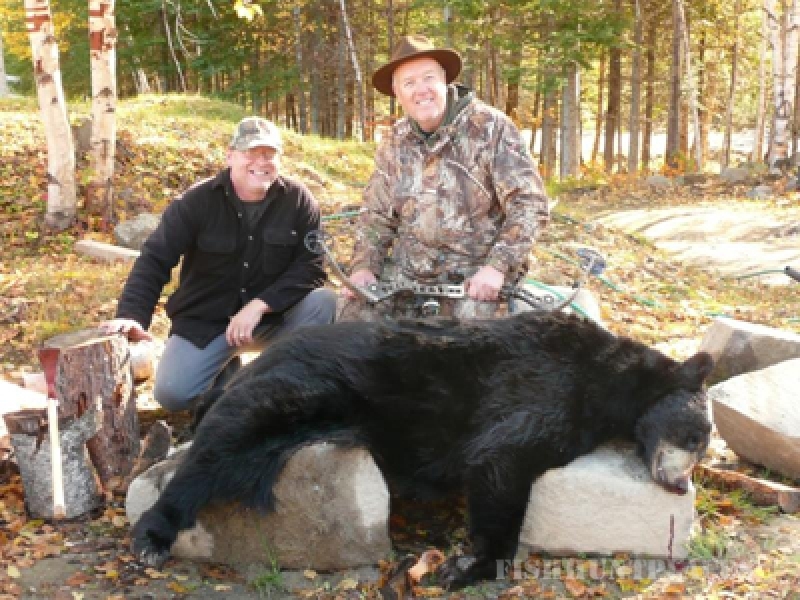 We maintain an 800 square kilometer bear management unit which allows us to take 16 bears per season. 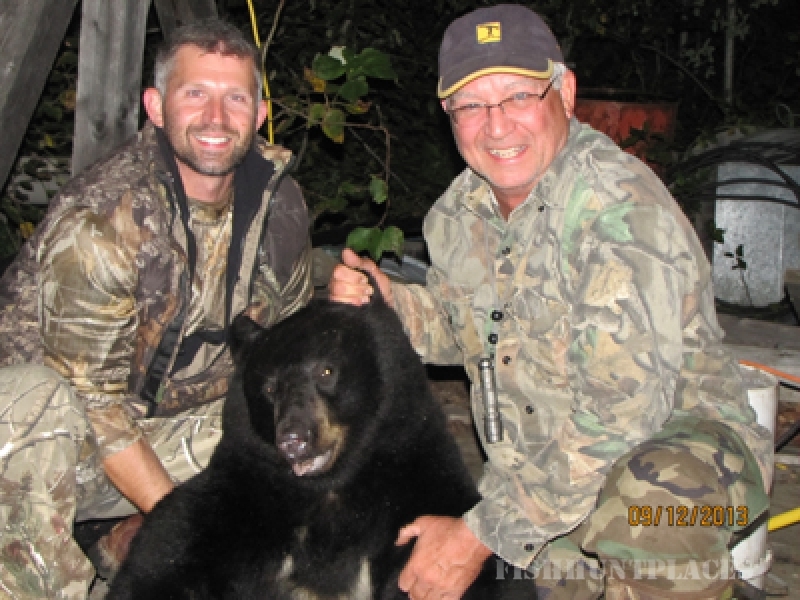 Therefore, we have designated one cabin for bear hunters from mid August to the end of September. 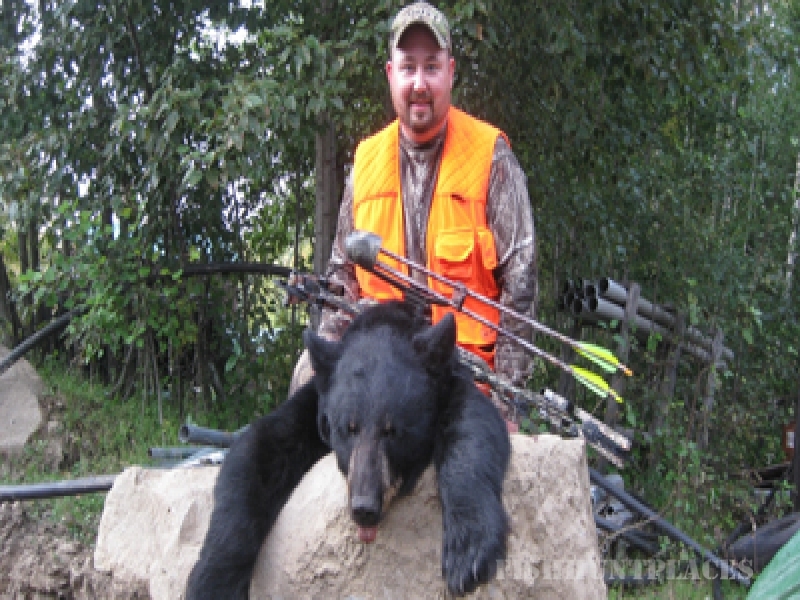 Due to the cost of bait and labor, we require a minimum group of 2 hunters per week. 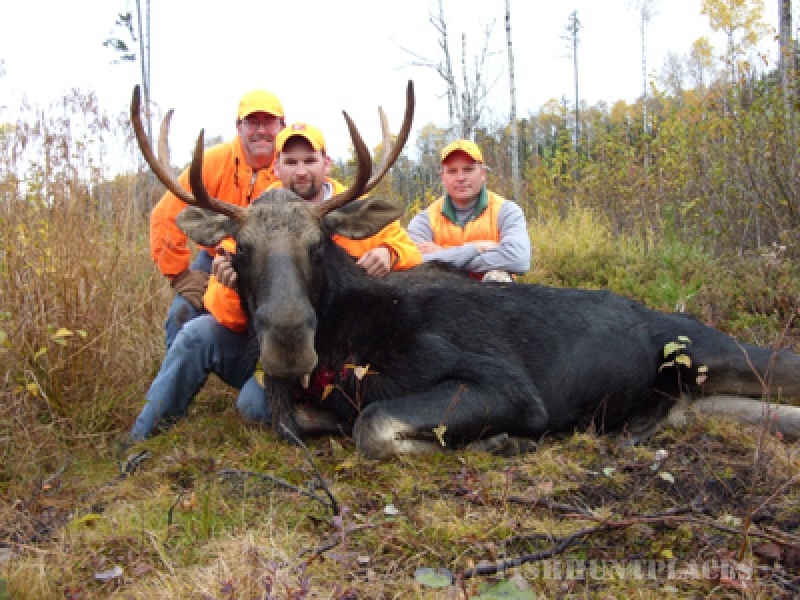 Our Non-resident moose hunts are fully guided and includes the hunting license and tag, accommodations, boat, motor, and gas. 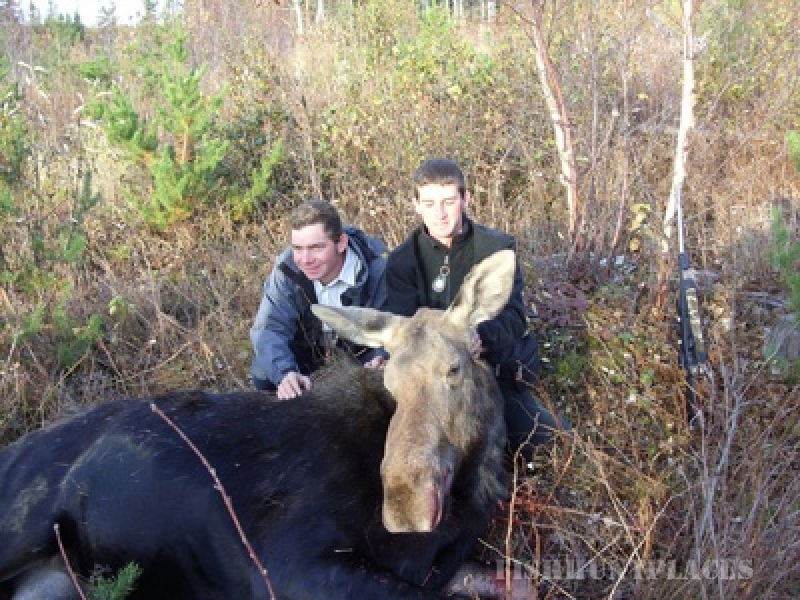 Miles of logging roads open up prime habitat for moose. Please call for further information.